I'm no skincare expert, but I certainly know what I like. 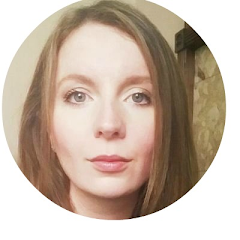 One thing that has slipped pretty easily into my night time routine over the past few months is a once-a-week glycolic application, and it seems to be having a rather nice effect on my 30 year old chops. Glycolic acid gets rid of dead skin cells and targets those pesky first signs of ageing - pretty much music to my ears. Most are marketed as being gentle enough for frequent use but as it's an acid, I tend to find once a week is sufficient. 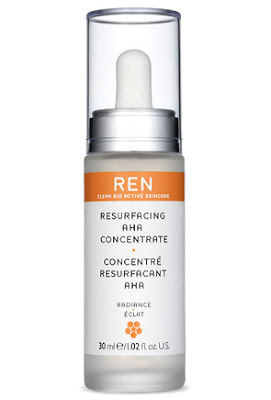 I'm alternating between two products at the moment - REN Resurfacing AHA Concentrate and Bliss That's Incredi-'peel'! pads. The Bliss pads are a higher 'spa strength' concentration and need to be followed with a moisturiser a few minutes after application. REN advises to follow application with the serum in the range but I have to confess that I've just used it on its own before bed and all has been well. Waking up to radiant skin that lasts for the next few days makes these products the perfect investment for me. At the moment, I'm using REN at home and pack the Bliss sachets for nights away. The slight fiddly opening of the Bliss sachets is the only thing that has pushed them slightly behind REN for convenience, but I would always want to have a supply of these at home to pack for holidays as they take up zero space. REN AHA Resurfacing Concentrate is £30 and available here. Bliss That's Incredi-'peel'! pads are £39 and available here.